A young man is missing after he and a friend were caught in rip currents east of Cape Town. 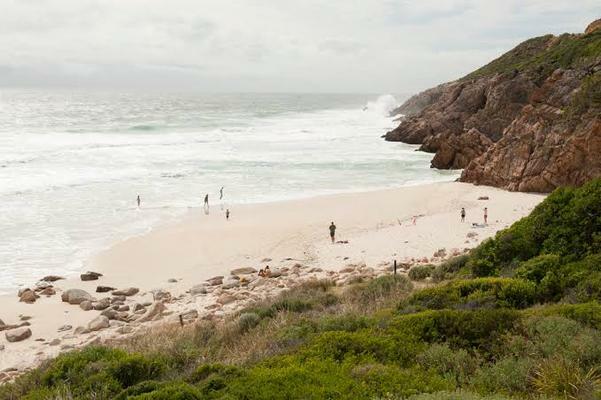 A 19-year-old teenager is missing after he and a friend were apparently caught in rip currents while swimming in the sea at Dappat se Gat near Gordon’s Bay, east of Cape Town late on Sunday afternoon, the National Sea Rescue Institute (NSRI) said. NSRI Gordon’s Bay duty crew were activated by the Transnet National Ports Authority (TNPA) at about 5.15pm following reports of a drowning in progress at Dappat se Gat, between Gordon’s Bay and Kogel Bay, NSRI Gordon’s Bay station commander Alan Meiklejohn said. The sea rescue craft Spirit of Surfski was launched and an NSRI rescue vehicle, the South African Police Service (SAPS), GB Med ambulance and rescue, City of Cape Town fire and rescue services dive unit, city lifeguards, and provincial emergency medical services (EMS) rescue squad and the EMS/AMS Skymed rescue helicopter also responded, he said. During a day out with friends, the two teenagers had been swimming together when they were caught in rip currents, the 17-year-old was able to get ashore, but his 19-year-old friend had disappeared beneath the surf. “Despite an extensive sea, air, and shoreline search no sign of the missing teenager has been found and a police dive unit are continuing in an ongoing search operation. Police have opened an investigation and family of the missing teenager are being supported by police trauma counsellors,” Meiklejohn said.